Barnes & Noble is now offering independent authors the ability to sell their titles in the actual stores with physical books. In the report by Book Business Magazine, two-thirds of books purchased are tangible books with pages and a spine. Availability will not be as widespread as the title infers. Distribution requires endorsement from a manager of the book chain. Positive reactions to the news is expected at this stage. Creatives have a new outlet, but a potential increase in competition. Amazon provided open distribution on a new and ever-growing platform. This new opportunity for writers requires relationships coupled with quality literature. Therefore, the new offering for ‘indie authors’ opens the door for more exposure, and obviously more money. Take-home percentages for scribes is unknown at this time. Implementation of the offering has yet to begin. Structure and payouts are vital to the writers due to the financial risk this may pose. Upfront costs with little to no returns does not make business sense for the creatives. Biggest takeaway, Barnes & Noble brings a new option to the table that Amazon does not and cannot, at this time. Physical books in store with a lounge section to read and congregate. Going brick and mortar was a novel idea by the tech company after seemingly cornering the market. 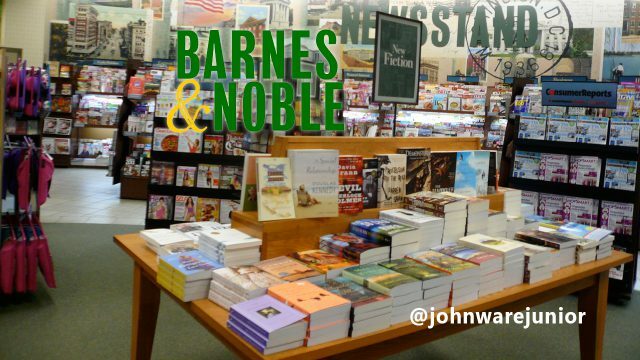 Long-time bookseller, Barnes & Noble is miles ahead with having open doors and full shelves. Once the details are released about the program, the ROI assessment begins. Before self-publishing hit stride, authors received their royalties after the printers, distributors and publishing company. No middle man does not mean the royalty structure changes. Barnes acts as a direct line to distribution, but is a manufacturer, distributor and agent.